We're total jam and pickle nerds. We love perusing farmers markets and farm stands seeking inspiration for our next jamtastic creation. We make every effort to craft all of our products with local or responsibly-sourced ingredients. We love supporting small businesses and local farmers and hope you do too! By sourcing a lot of our fruits and veggies locally we're supporting Virginia's hard-working community. 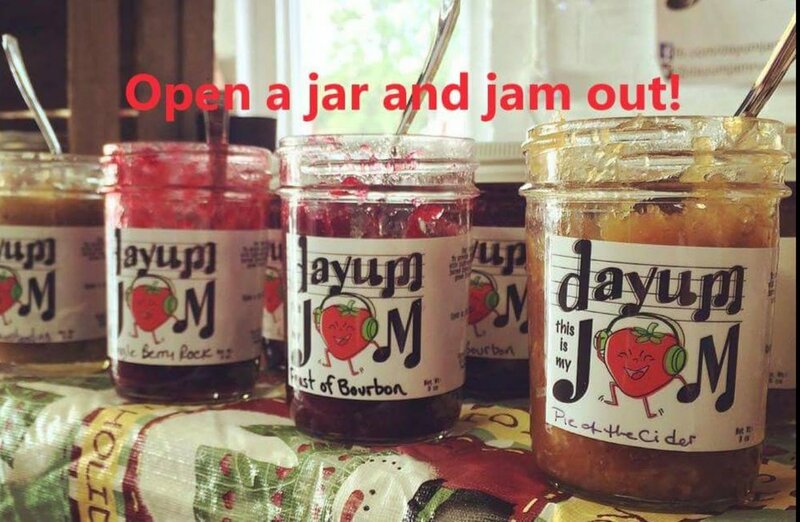 We hope you'll enjoy a jam session with us. No matter your preference we're sure to have a hit for your taste buds. Music-inspired jams, made by hand!